Abuja (Agenzia Fides) - Outgoing President Muhammadu Buhari has been re-elected President of Nigeria, according to the official results of the elections held on 23 February. The main opponent, former Vice President and businessman, Atiku Abubakar, however, questions his victory and announced that he will file an appeal. 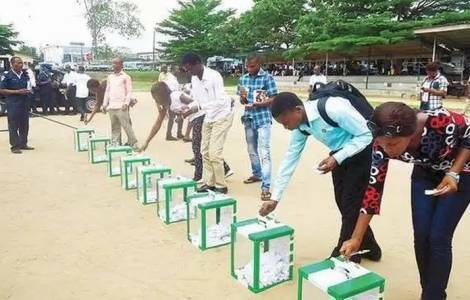 "We appeal to the INEC to ensure credible procedures and absolute transparency in the electoral processes across the Country in order to sustain public trust and confidence in the elections", says a statement by the Episcopal Conference of Nigeria, signed by its Secretary General, Fr. Zacharia Nyantiso Samjumi. The Catholic Bishops Conference of Nigeria, through its agency, Caritas Nigeria, in collaboration with the Justice Development and Peace Commissions, set up a Situation Room for the purposes of collation and aggregation of reports of the 2019 General Elections from field observers selected from 55 dioceses spread across the 36 States and the Federal Capital Territory (FCT). To this effect, the Catholic Church has actively engaged 3,823 accredited Observers, and 9,000 Citizen Observers to enhance data collection and collation during the said 2019 General Elections. "Leveraging on the capillary nature of the Church, a widespread information network has been established on the Parish, Deanery, Diocesan and National levels. The Situation Room focused on the electoral indices logistics, security, Smart Card Reader failure, discrepancies and voter inducements", says the document sent to Fides. According to the information sent to the Situation Room, serious organizational shortcomings were noted (which had already forced INEC to postpone the vote for one week) while in the North-Eastern regions, in Maiduguri, in particular, episodes of violence which compromised the security of the vote. In addition, the police were poorly distributed with the large cities left uncovered while in the small towns there were too many security agents.